I was pleased that 3M sent me their latest pocket projector, the MPro 120, and I was more than happy to give it a hands-on review. 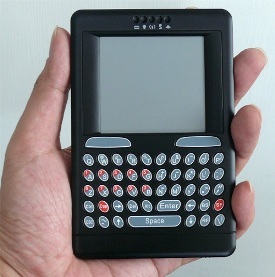 (By the way, that isn’t my hand in the photo, but an image included in the Press Release.) Since this is my first time with a pocket-projector, you might notice that I am a little excited about it. The MPro 120 works with surprising ease on my laptop computer. All I had to do was plug it into the wall to recharge the battery, and two hours later, it is good for about two to four hours worth of projection time. Then I plugged it into my laptop, and set it up as a secondary monitor. From there, I was able to get an image as wide as 50 inches, and it looked very clear on a blank wall in the dark. The MPro120 came with a tripod for theater-like setup, and I was able to watch some shows from Hulu as if they were movies on the big screen. That really helped bring the FlashForward show to life. Seagate is a name synonymous with quality hard drives, and their latest release, the FreeAgent Theater+ HD media player has something to do with hard drives as well. This device has room for a hard drive, where it will function as a next generation home theater solution that was specially designed to instantly and easily hook up your digital media library to your home entertainment system for seamless interaction, while ushering your living room into the 21st century instead of being laughed at by your mates each time they drop by. I haven’t ever heard of a single person who hasn’t lost their remote at least a few times. I’m sure there are some out there, but they are few and far between. Myself, I have a couch that will try to eat anything you place on it, remotes included. I usually know to check inside of the couch to find the remote again, so that is one advantage. If you’re in a household with a big family though, losing track of a remote would be pretty easy. 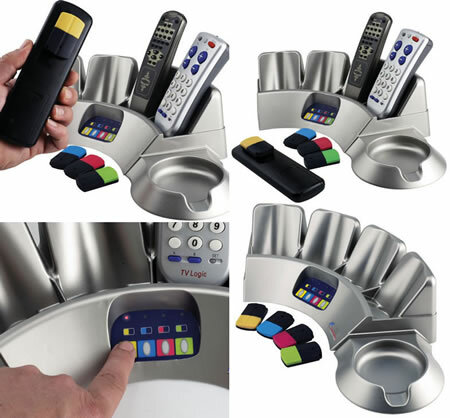 Which is where this Remote Buddy would be helpful, it makes it possible to page your remotes, so you can find them again. When LCD TVs first hit the market, we were bowled over by their apparent slimness compared to what we see in our living rooms dominated by fat, chunky CRTs. Well, times have definitely changed (for the better) as CRTs have been phased out since then, and LCD TVs are the de facto standard when it comes to your living room viewing experience. 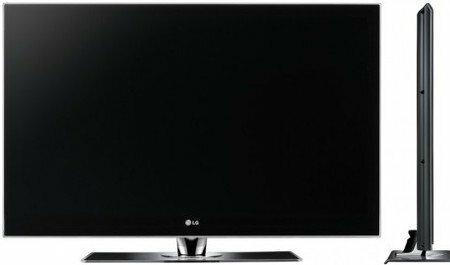 LG ups the ante further with their latest release of a full HD LED LCD HDTV which is more or less as thin as it gets, bearing the image of a single sheet of glass. Making a splash at CEDIA 2009, the new SL90 series of HDTVs from LG will come in 42″ and 47″ sizes, where they both will feature LED lighting and other stunning display technologies. Work is extremely demanding these days, and as the saying goes, “a man’s home is his castle” so why not pamper yourself whenever you’re back after a long, hard day at the office? 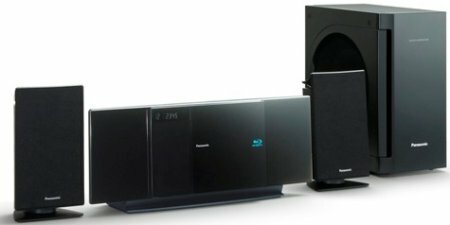 Instead of investing in a spa system, why not keep that mind entertained with the latest blockbusters while your ears enjoy above average audio quality through the Panasonic SC-BTX70 2.1 channel Blu-ray Disc home theater system? 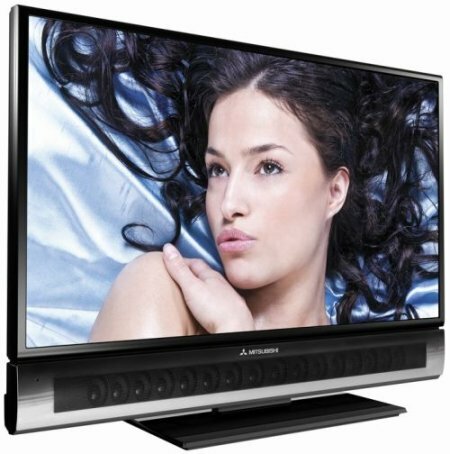 This innovative setup will come in a chic design that will definitely complement your flat panel TV regardless of the brand (Panasonic folks will claim it works best with Panasonic VIERAs, of course), while you let your Blu-ray player keep you entertained. Mitsubishi is back with a new range of flat panel TVs for its Diamond Unisen line, where these models will ship with built-in VUDU support in full High Definition glory. The integration of VUDU ensures consumers will be able to experience the seamless delivery of thousands of high-definition movies and TV shows on-demand, although we’re pretty sure this still won’t stop people from flipping channels whenever they’re bored. At least you don’t have to time your TV schedule to a station’s programming, since you will definitely be free whenever you pick up the show that you think would tickle your fancy. Who says that we are in a flatscreen age with the TOOB? The TOOB allows a user one of those domed theater experiences, but in your household. 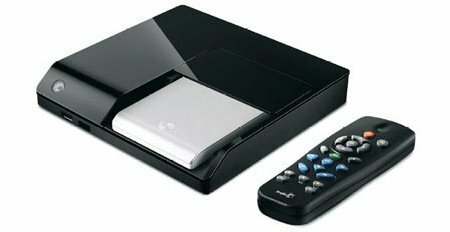 It is powered by a projector from a home theater, and allows the user to plug anything into it, such as a video games system or DVD player. 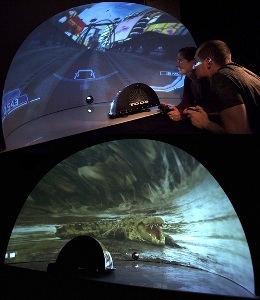 I am guessing that the user lays down in front of it and feels an immersed experience. I’m guessing that this experience is limited to the amount of people lying down in front of it. I don’t really know if these photos do it justice for what it can really do. I mean, just imagine being right in front of that alligator.